Sorry ~ NO dogs allowed ~ This is for health and safety reasons ~ Thanks for your understanding. Peter Horne is one of the Margaret River Farmers’ Market staples. 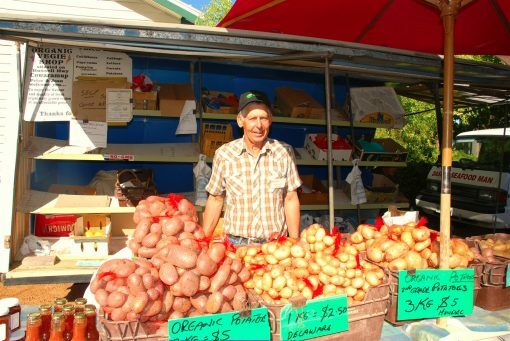 Peter is at the farmers market every Saturday morning. Peter’s Farm is Certified Organic. Peter grows potatoes all year round and seasonally he grows beetroot, garlic and shallots. Every week he has delicious happy free range eggs available (not certified organic).